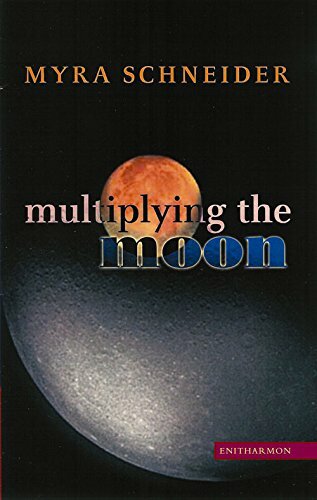 The opening poems of "Multiplying The Moon" are Myra Schneider's response to her recent experience of terrible illness. In the aftermath of fighting breast cancer, she found herself writing poems that explore transience, death and survival from many different angles. The main theme of "Voicebox", the long fictional narrative in the middle of the book, is communication; the poem follows the connections and disconnections between its main characters. In a short poem sequence, the poet draws on findings from the 1901 census to re-create her father's early life, and the understanding she gains helps her to feel a new closeness with him. This, Schneider's most ambitious collection, is united by the theme of investigation of the self and its relationship with the outside world. Myra Schneider was born in London in 1936 and grew up on the Firth of Clyde. She is the author of four poetry collections from Littlewood, three novels for children from Heinemann, and has three poetry collections published by Enitharmon: Exits, The Panic Bird and Insisting on Yellow. With John Killick she has written Writing for Self-Discovery (Vega, Chrysalis Books) which was re-published in 2002. Her book 'Writing My Way Through Cancer', was published by Jessica Kingsley in 2003. The book is her fleshed-out journal from the year 2000 when she was diagnosed with breast cancer. It includes poem notes and poems and a section of therapeutic writing ideas.